Looks similar to KATOH. Hartman scored big for K%, BB%, and HRs. Rojas is a guy that scores big for K% and BB%, though a little light in power, BABIP. My guess is it’s mainly based on k%, bb%, age relative to league, and proximity to majors, for both pitchers and hitters. Houston obviously has a big focus on strikeouts (for both hitters and pitchers), which is why they show up so well on these lists. There a quite a few outfielders who sport great bb/k numbers and could break out next season: McCormick, Julks, Meyers, De La Cruz, Costes, Dennis, Machado. I am also starting to think Alex De Goti may have a major league future. My biggest problem with most prospect lists is that they don't appear to do any analytical modifications. For instance, Fangraphs has rated Miami's Diaz as a FV50 this offseason. Diaz has a high K rate without in game power or high BABIP. Fangraphs put Moncada as his floor. Moncada had the Ks but he smacked the crap out of the ball when he hit it indicated by high BABIP and ISO. Moncada, an average starter, should be viewed as an idealic ceiling that Diaz probably won't reach. That's probably the best infield quad cities has seen since 2013 with Rio, Correa, and Kemp. When you look at where these new prospects will fall in Houston’s org rankings, Santana is like an extra 2nd round pick (as he will be rated as highly as Schroeder), and Adolph an extra 3rd-5th rounder (comparable to Pena/McKenna/Deason. Solid return for a guy you drafted in the 3rd round a few years ago. This comment spurred me to go look through some of the old minor league teams of the Luhnow era. That 2013 A ball team was probably the best infield they've had at that level. THat team also had Teoscar Hernandez on it. The 2015 A ball team featured Nottingham, Laureano, Ferguson, Fisher, and Bregman. Stubbs, Ferguson, Jason Martin, and Nick Tanielu were also on that team. The 2015 High A team had 6 future big leaguers in the lineup: Davis, Fisher, Reed, Phillips, Bregman, and Nottingham. Pretty salty. Probably the deepest team was the 2013 AA team with 8 future big leaguers: Enrique Hernandez, Domingo Santana, Springer, Stassi, Preston Tucker, Ronald Torreyes, Matt Duffy, and Carlos Perez. Manea was 7th in the SAL; Manea ranked 23rd in wRC+ among ALL qualified catchers across the entire minor leagues. Adolph was 4th in the NYPL; Kyle Tucker was the only qualified Astros prospect in the system to post a wRC+ higher than Adoph's 147. Santana was 7th in the Appy League; of note, Santana was a better hitter in that league than his teammate Jarred Kelenic, the Top 100 prospect who was the headliner in the Cano trade. HTown2017Champs and No Worries like this. Lovin' this trade! Gonna miss JD, but he really had no place on our 25 man roster, glad he'll get much deserved playing time, and also glad to see us restock our farm with what look to be some good hidden gems. And, lastly, thank you JD especially for the 3-run homer at Yankee Stadium that led us to a win! Good luck in New York! SS/2B Yorbin Cueta: Big bonus teenager who can play all over the infield and walked more than he struck out. Doesn’t offer much power or speed but the build is there to possibly add power. If he can do that while maintaining his k/bb ratio he will be an everyday SS or 2B. Otherwise still has potential as a bench player who can make contact and play the middle infield. SS Alex De Goti: Made it to AAA in his 2nd full season; can play the middle infield well and doesn’t strike out much. Doesn’t offer speed, doesn’t walk enough, and his power will be below average at best, but he has a good chance to be a AAAA SS. 2B/3B Enmanuel Valdez: Teenager held his own in Low A and is fairly highly thought-of internally. Size will limit him and his #’s aren’t eye-popping, but he is on the radar and can make noise if he has success as a 20 year old in full season ball. C Nathan Perry: 5th rd pick is still all upside, but he can probably stick at catcher, hits the ball hard, and doesn’t strike out too much. He will likely be brought along slowly but probably the highest ceiling C prospect in the system. C Jamie Ritchie: Walks a ton, doesn’t strike out much, hits the ball hard (peep the BABIPs), looks like he can stick at catcher. Dinged for his age and lack of pedigree (and probably isn’t a double-digit HR guy) but looking like he will probably reach the majors. CF Jacob Meyers: Stellar defensive CF. Walks enough, doesn’t have a strikeout problem. Probably maxed out athletically so he won’t offer big speed or power, but his defense means all he has to do is not be a terrible hitter and he will reach the majors. SS Miguelangel Sierra: Middle infielder with great pedigree and double digit HR power. Not much room to add physically, speed not a tool of his. Not likely, but if he makes huge adjustment in hitting to improve k/bb ratio while maintaining power, he can be an everyday player. LF Corey Julks: Great speed/power combo and takes walks. Strikeouts are a slight problem, and not sure why he can’t play CF. Could break out in AA this year. C Scott Manea: Dinged for age and low walk rate. Pluses for defensive position and power/contact ability. Very interested to see where they place him. UT Josh Rojas: Dinged for age but has potential to be average across the board and can move around the field. RF Chas McCormick: Won’t hit for much power or steal many bases, but good onbase skills and defensive value in the OF. Potential 4th OF. SS Jack Mayfield: Dinged big time for age and lack of pedigree, but he can play all over and hit 22 HR over his last 152 games. Sleeper AAAA guy. C Cesar Salazar: Defense good enough to carry him most of the way. Hit 3 HR in 14 games in A ball, can dream on that. OF Franklin Pinto: Another file-away name, DSL teen has some pedigree and showed good contact and speed tools; frame to add power. SS Deury Carraco: Great speed, could get to average power and stick in the middle infield. LF Carlos Machado: Plus contact tool. Potential for much more power, but will have to get to it in order to reach the majors. RF Chandler Taylor: Good power/walk combo and decent in RF. Big time strikeout problem in debut, but was in full season ball. RF Stephen Wrenn: Frustrating prospect; huge tools, with potential plus speed, power, and defense. Just strikes out too much. SS Jose Mendoza: File away for later; DSL teen has no pedigree but his k, bb, and SB #’s warrant following if/when he gets stateside. C Jose Alvarez: File-away name; no standout stat/tool but a solid overall performance in the DSL and ability to play C makes him worth watching when he gets to the GCL. RF Bryan De La Cruz: Doesn’t stand out in any one place, and looks like he won’t ever hit a ton of HR, but a ‘good contact’ guy who walks and can stick in RF. CF Wilyer Abreu: Potential to be average across the board. Gilberto Celestino-lite. C Carlos Hurtado: DSL numbers don’t mean much, but he’s a teenage catcher who hit for power and didn’t strike out. 3B Sean Mendoza: GCL k/bb numbers stand out. Very limited physically/defensively. CF Andy Pineda: Tore up AA in a small sample. Huge speed, can stick in CF, potential for average power. Needs to cut down on the strikeouts. An Ocampo guy. C Ruben Castro: Catcher who can get on base. Not a power threat, but if he checks out defensively he will keep moving up. RF Carmen Benedetti: Jon Kemmer redux. Walks, hits for power, can stick in RF. Strikeouts probably prevent him from sticking in the majors. 3B/2B Nick Tanielu: Doesn’t strike out, has average defensive value and power. No speed, tough to see a role in the majors. CF Marty Costes: Dinged for age, but great 4th OF potential. Could get to double digit HR power, good speed, good defense. CF Ramiro Rodriguez: Small kid but can reach average power, take a walk, and might stick in CF. Doesn’t offer much speed and strikes out too much. 1B Luis Encarnacion: Former big bonus international signee for the Phillies was picked up by Houston. 70 grade power potential, not much else. Still just 21. C Michael Papierski: Good catcher, huge walk numbers. Inexplicable lack of power. UT Austin Dennis: Speed, contact. Not sure where he fits defensively. Not much power potential. Probably a minor league utility guy who ends up surprising and reaching AAA. SS Trey Dawson: Can play the middle infield and has decent plate discipline. Too much swing and miss, not enough power, not fantastic defensively. CF Juan Ramirez: Best trait is that he’s a low-level prospect Luhnow traded for. Has not hit a HR as a pro. Good contact, small frame. Limited. 2B Ryne Birk: Power vanished in 2018 but prior to that looked like a sleeper 2B prospect. Rebound candidate. 1B Victor Mascai: Power potential. Limited defensively. UT Osvaldo Duarte: small but great athlete. Offers defensive versatility, baserunning, average power. Too much striking out for now. 3B Colton Shaver: Probably not enough power for a corner infielder but otherwise offers average to plus on-base and defense for that role. 1B Jake Adams: 6th round pick with 70 grade power. Not much else. OF Andres Santana: Don’t know much but supposedly a plus athlete. 1B Taylor Jones: AA breakout was a mirage. C Oscar Campos: Catcher who doesn’t strike out. Saw an uptick in power this season. Uphill climb. 1B Scott Schreiber: Bad debut but I have hope for an athletic 1B with plus power. Screaming Fist, prospecthugger, awc713 and 1 other person like this. Nook, Screaming Fist, HTown2017Champs and 1 other person like this. Good article read if you have a subscription. BP Top 101 dropped today and features 5 Astros. Pretty healthy system for a team expected to win 100+ games. The Cubs, Red Sox, and Yankees won't have a single prospect on the BA Top 100 (which was also released today). I"m hoping 2nd tier guys like Beer, Nova, Santana, Toro, Dawson, Abreu, Schroeder, and Ivey can take big jumps this season, since there's a good chance all 5 of the BP Top 101 Astros prospects will graduate this season. The Beard and Joe Joe like this. The BA guy (Kyle Glaser) also said on twitter that JB Bukauskas was just off the list and will very likely be added once there are some graduations. So Houston has 6 of the Top 110. It's strange seeing Josh James getting so much recognition now. Not that I disagree with it, just weird timing. He was basically working with the same stuff at mid season last year and he wasn't appearing on any national lists. It seems like his performance at the major league level was when he started getting attention. James,Valdez,Whitley,Bukauskas,Martin,Armenteros. It's quite the impressive group of potential arms. Also the reason I don't want to invest much in a starter unless it's an impact guy. texans1095, Snake Diggit and Joe Joe like this. 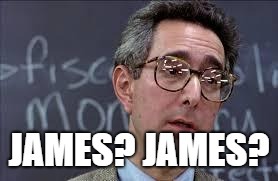 I know I was late to the James party. Until I saw him pitch for Houston I thought he was a middle reliever at best. But he has Aroldis Chapman level stuff. Despite the volume of high ceiling young arms I still think it’d be worth it for them to bring in an old vet for a couple million to eat some innings so they can be sure they won’t have to rush anybody. Astros have 5 of the 15 AL West prospects in BAs Top 100. Astros continue to have the best AL West team as well as having the best long term outlook in the division. On James, I'm not sure if BA understands the value of 27.2 high quality MLB innings. His xFIP true talent level appears to be between 2.40 and 4.30 xFIP with 95% confidence based on that sample size using Fangraphs's sample size tool. In other words, he's probably a major league player, but we don't know how good yet. The 77th best prospect as a pitcher has about a 50% chance of being a major leaguer. Edit: I do understand that placing James is difficult as he improved greatly last year and is very different than most of the ranked prospects. Completely agree with this point. I'm fine rolling with this group until they prove that they're not capable of holding down those last couple spots in the rotation. Don't see any advantage of trading for a guy like Alex Cobb compared to those guys you mentioned.